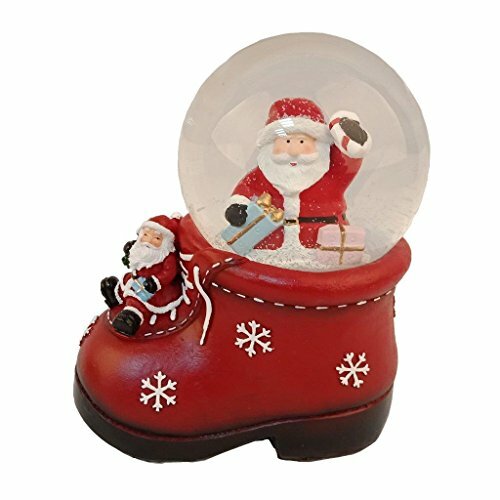 Lighahead 100mm Polyresin Santa christmas waterglobe. This water globe is a fun, festive way to add to your holiday décor. Featured inside the clear globe is a Santa. At the base of the water globe is Santa sitting on the Shoe. Beautifully designed and high quality. Beautiful detailed addition to your holiday décor. Materials: 10% glass, 20% water, 70% polyresin. Ideal christmas decoration and gifts. This decorative christmas water globe is without any function.